Associated Anesthesiologists, P.C. » Etheridge, Christine S.
Home / Etheridge, Christine S. / Employees / Office Staff / Etheridge, Christine S.
Christine S. Etheridge is a native of Sterling, Nebraska. Christi is a Billing Specialist for Associated Anesthesiologists, P.C. and has been with the group since June, 2004. Christi graduated from Southeast Community College with an Associates Degree in 1985 and continued her education at Doane College graduating with a Bachelor of Arts Degree in Busines Administration in 1993. 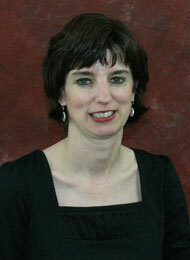 Christi was an office manager for Consultative Nephrology for approximately 15 years before joining AAPC. She is married and the mother of two boys who spends her free time going to soccer and baseball games. Christi is also a member of Nebraska Medical Group Management Association, Southeast Community College Advisory Committee, and P.E.O.